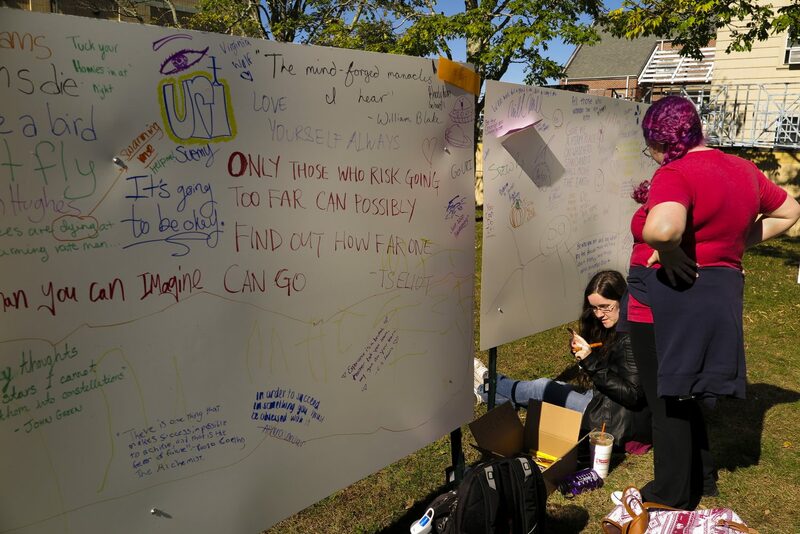 National Day on Writing took on a huge presence at the University of Rhode Island campus on Friday, Oct. 20. With many events all around campus, the University expressed the importance of writing in all ways, shapes and sizes. This was the first celebration at URI for this national day that was founded ten years ago. Students were encouraged to pick up a passport which would receive a stamp at each event being held around campus. Every student that has at least three stamps on their passport received a free writeforyourlife bracelet. The writing center expressed how important and relevant writing is to even non-writing majors. Held at the Memorial Union were graffiti walls where students could write inspirational or important phrases and words. Stephanie West-Puckett the director of the first year writing program, expressed the importance of writing even if it is just a simple phrase or even just one word. “Writing is just a part of who we are,” West-Puckett said. Inside the Memorial Union, students also had the opportunity to write tweets, memes, poems or stories in hourly contests. This was set up as a way to express to students that writing is behind almost everything. 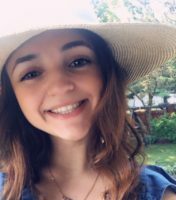 “Writing isn’t just an essay, it has meaning,” Zoe Comingore, a senior writing and rhetoric and Spanish major taking part in the program, said. Another senior volunteering with the writing center, Jenna Zieglemayer, expressed how vital writing is for everyone. “Writing is a skill that’s important in any job and in any field, but it is undervalued,” Zieglemayer said. Among the other events was an open mic in front of the library, where all students were allowed to get up and read something they had written of any genre or type. Here, Nate Vaccaro, a junior English and writing and rhetoric major, shared his poetry. Many other students also stood up and shared their writing during this event. Another event that took place all day was a walking tour of the URI campus. This tour included dictated depictions of places on campus where events in the novel “The Lowland” by Jhumpa Lahiri occurred. “The Lowland” is a best-selling novel that takes place mostly on the URI campus. Students had the opportunity to listen to descriptions spoken by Dr. Kathrine Winters, a graduate student, of the events occurring in the novel as they walked around campus. Students also got to explore the writing center in the basement of Roosevelt Hall while enjoying the pizza party held there. Nedra Reynolds, one of the coordinators for the National Day on Writing, explained how successful it was. “Nearly 250 students picked up passports and received stamps at our five stations, including a Graffiti Wall and Open Mic. Our theme was #writeforyourlife, and over two dozen student volunteers helped with the publicity, staging and programming,” Reynolds said. With hope for the growth of this event in the future, Reynolds was confident that this would also take place sometime next year as well. Previous articleDo URI’s policies protect us or infect us?